The famously clear light in St Ives has captivated generations of artists over the centuries. Creative heavyweights from JMW Turner to Sir Terry Frost have drawn inspiration from the vibrant colours and spectacular scenery of this beautiful coastal region. The potter Bernard Leach worked here from 1920, establishing a ceramic tradition that has also influenced successive generations of ceramicists across the globe. His studio is amongst the most respected and influential potteries in the world. Over the last hundred years it has forged the shape of Studio Pottery in the UK and beyond. Scores of potters, students and apprentices, from across the world have come to the Leach Pottery to train, creating a uniquely international environment in the heart of Cornwall and maintaining the Pottery’s creative principle of East/West exchange. Today, the Leach Pottery Studio, Museum and Gallery continue developing Bernard Leach’s historic legacy and is well worth a visit during your time here in St Ives. While Turner and Whistler were early visitors to the area, it was from the 1920s onwards that the St Ives arts scene really took off, galvanised by influential modernists like Ben Nicholson, Barbara Hepworth, Naum Gabo, Peter Lanyon, Patrick Heron and Roger Hilton, all now synonymous with the town. Today, the creative tradition in St Ives is a strong as ever. The town still has a thriving colony of artists, and the streets are brimming with independent galleries, artists’ studios and craft workshops. In September, art lovers flock to St Ives for the annual Arts Festival – a celebration of all things creative with music, film and theatre performances, art exhibitions, poetry readings and more. 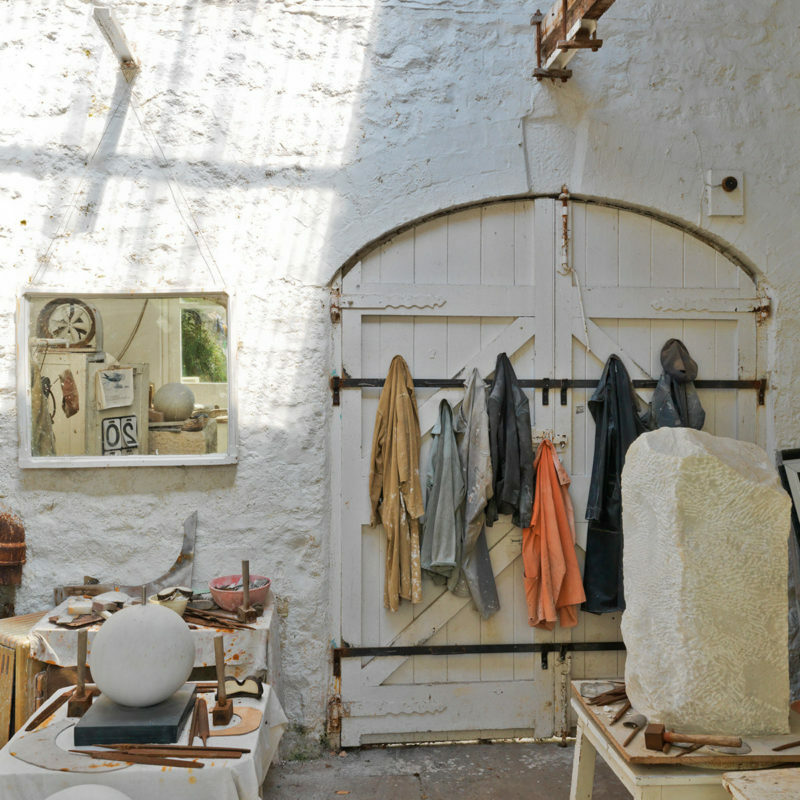 The Open Studio Festival runs every year across Cornwall, and in St Ives many artists open their studios to the public, giving the unique opportunity to browse and speak directly with the artists on their methods and artworks. With many artists studio’s in the Downalong area nestled around the Sail Lofts luxury self catering apartments, the complex is the perfect location for gallery and studio hopping throughout the week. To find out more about local activities and festivals please see our activities page, alternatively see our availability page listing luxury accommodation in St Ives.